rocky's bru: Where did the girls go after we saved them? So, where di the "rescued" foreign vice girls go to after we've "saved" them? Did we deport them, or did they queitly, happily, sadly go back into circulation as soon as the authorities had rescued them from the vice dens? How come nobody really knows? It's has been a BIG question on people minds. 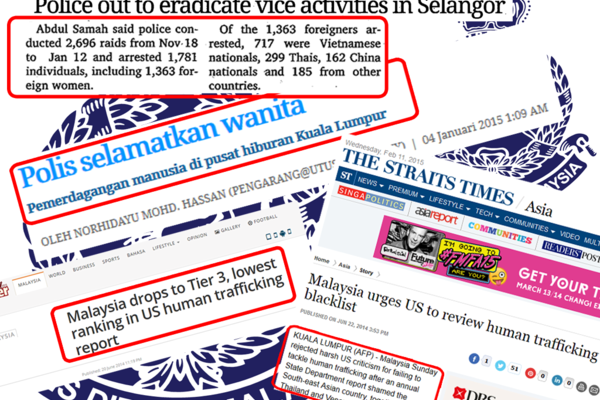 Most of the time, those who afford to "pay" will let off by the force..and most of the girls have their own "pimp" who have good contact within the force... Those could not "pay" will send to detention center before deported back to their country..but, at most cases, only few deported..
Saya dah lama ,bertahun tahun, bertanya-tanya terhadap PATI ,termasuk pompuan pompuan,yang di papar kan setiap minggu, di kaca TV ,apa bila di tangkap. Dulu kan waktu otai di USA, ada orang, sebagai nasihat pegawai lapangan lontarkan "At any time ,at any place, any where, there is always a racket going on." In Malaysia they can be in anywhere ! They r now voters. Most of them in brothels in PP. None can speak BM except for "satu round satu ratu".